GORGEOUS, NO MAINTENANCE VILLA IN BEXLEY - Everything outside from roof to grass is maintenance free. Hurry to see this lovely popular Inkwood model w/1951 SF, open & airy w/Screened lanai on premium lot w/water view & many upgrades. 3BR, 2Ba, 2 car garage. Energy efficient, Electric $50/mo, Gas $12/mo. On demand water heater, rain gutters. Beautiful, Easy care, Sealed, Porcelain diagonal Tile floors throughout w/cozy carpet in the BRs. The large very private master suite is tucked away in the back w/a great view, Walk-in closet & roomy En Suite bath w/two vanities, water closet and large step in shower. All tile/grout sealed. Relax on your screened lanai & be entertained by the water foul, deer and wildlife. Enjoy your island kitchen w/Granite counter-tops, 42" Espresso cabinets & Stainless Steel appliances. Inside laundry room comes w/new washer & dryer & there is a handy family foyer/butler pantry w/Granite surface to drop your purse and shoes next to the garage entrance. Bexley is an active lifestyle community w/many activities for the whole family & a delicious casual restaurant at the clubhouse. 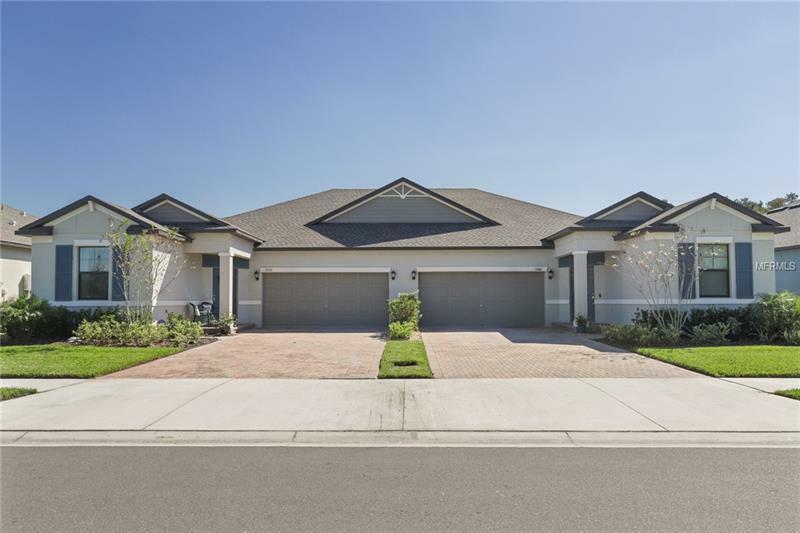 This Resort style community has pool, community center, fitness, etc., plus dog park & bike park & many trails throughout the community as well as many play parks. One is only a block away. Visit the clubhouse & have a bite to eat. Near shopping, restaurants, churches, great schools, Suncoast Pkwy & Tampa Int airport, I-75, US-41. Call your Realtor TODAY! BEXLEY is the place to be!